Mustachifier! For the new man in your life. 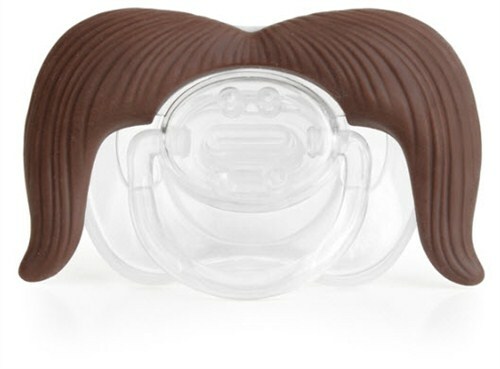 The Cowboy is the moustache pacifier for the rugged young man. This Mustachifier marks you as a lone wolf, an independent man of the plains, and a compadre who is not to be trifled with. When you're looking to send the message that you can make decisions and being a messy eater is a lifestyle choice then this is the imposing handlebar mustache for you.